West ham boss Slaven Bilic has been speaking about new recruit Simone Zaza and his exploits in traing since arriving from Juventus. Hammers fans who are hoping to get a look at what Zaza can offer were given a boost ahead of next week's Watford game as Bilic voiced his high expectations of Zaza and his excitement at the Italian hitman's 'wildness'! As such, it is evident who Superslav has voted for in the VERYWESTHAM poll to name our preferred main striker, but who do you think is our main hitman? Why not cast your vote in our poll (top right)? 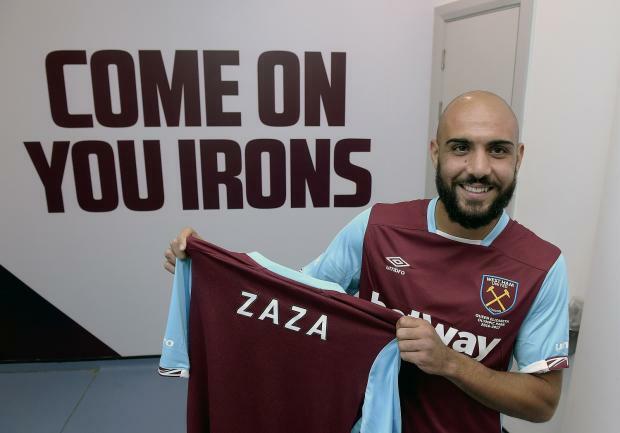 Give Zaza a go carrolls a good impact player coming off the bench but in all honesty anyone but calleri! Tevez wasn't that great for the first 9 games he played ... but came good. We got rid of Mascherano because he looked poor for a few games ... I seem to recall he did ok!